I was incredibly exasperated and highly skeptical about the increasing repair needs and escalating costs a local company quoted. In desperation, I searched through six years of emails and was rewarded when I located the number of Southern California Landscape. After speaking with Pam in teh morning, she and Javier arrived that afternoon, diagnosed the issue and fixed the problem within a few hours and at half the price; compared to the two days of attempted repair work and twice teh cost stated by the other company. 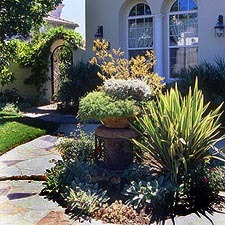 It is with great pleasure that I recommend Southern California Landscape. 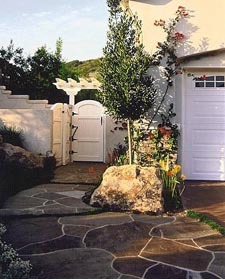 For dependability, timeliness and superior work product, SoCalLandscape is the only one - the peace of mind is priceless. Magical! That's the word that describes the feeling I got every time we light up our beautiful, newly relandscaped backyard. Thank You, Southern California Landscape, for turning our entire yard into a wonderland! Steve and I are thrilled with the results. project. Your work crew was outstanding!!! We have 100% confidence in all that you have done and look forward to the pleasure of recommending Southern California Landscape to everyone we know. Please never hesitate to give either of our names as a reference. Residential " Category in the 2005 California Landscape Contractors Association "Trophy Awards" - excellence in landscaping. - judged best in their category for residences in all of California. Thanks to Javier, our property looks amazing! Javier worked with us every step of the way, and the amount of time, creativity and care that he put into our project was beyond what we had hoped for or excpected. Before we begin the project, we interviewed many landscapers, but Javier was the only one we felt confident enough to want to proceed with. Once we began, Javier continued to show his committment by spending countless hours counseling and creating with us. He was dependable and kind, and now, we practically live outside. We love it! Copyright © 2012 Southern California Landscape, Ambience Landscape Corp. All rights reserved.